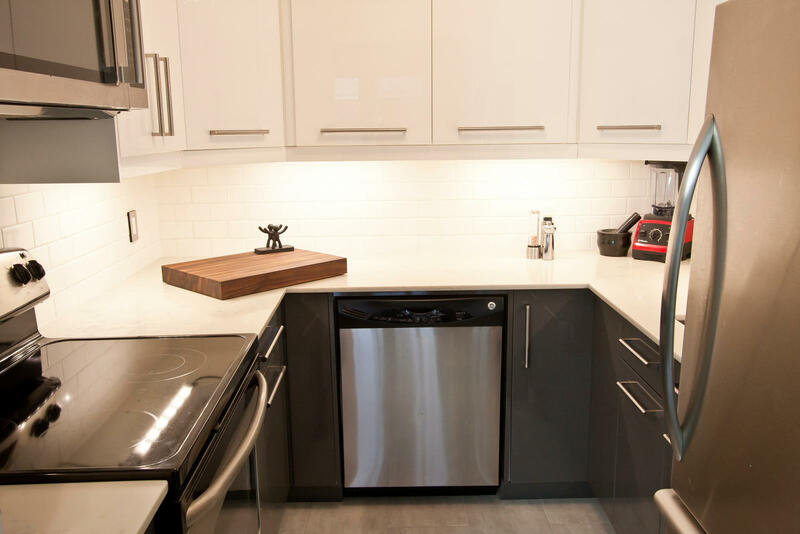 Client Request: To create a more useful kitchen space, adding more light to and better usage of space in the client’s condo kitchen. 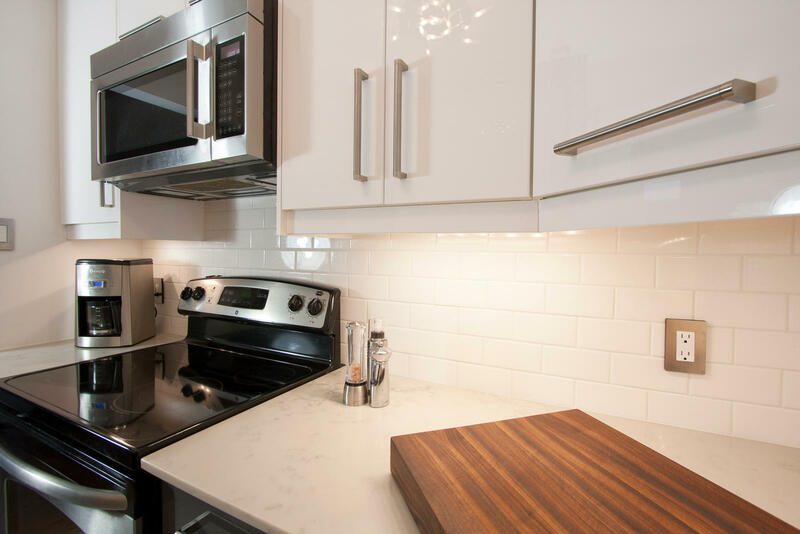 Challenge: A small space to fit in all the kitchen appliances. Client wanted a quieter kitchen as room opens into living area, and to add better lighting and better functionality. A more open space: ceiling was raised by removing bulkhead containing and rerouting fan venting and removing dated florescent lighting. Taller cabinets were added to maximize usable vertical space. 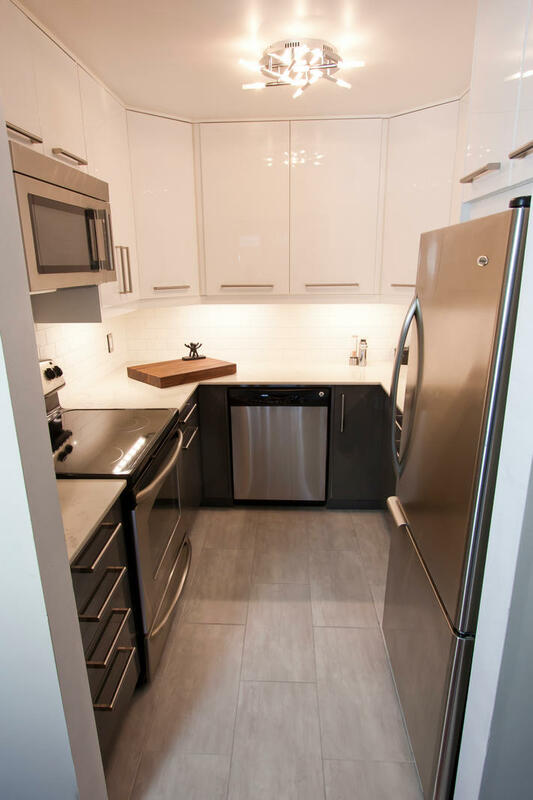 Resilient channels and sound proofing insulation were added to help keep the kitchen quieter. 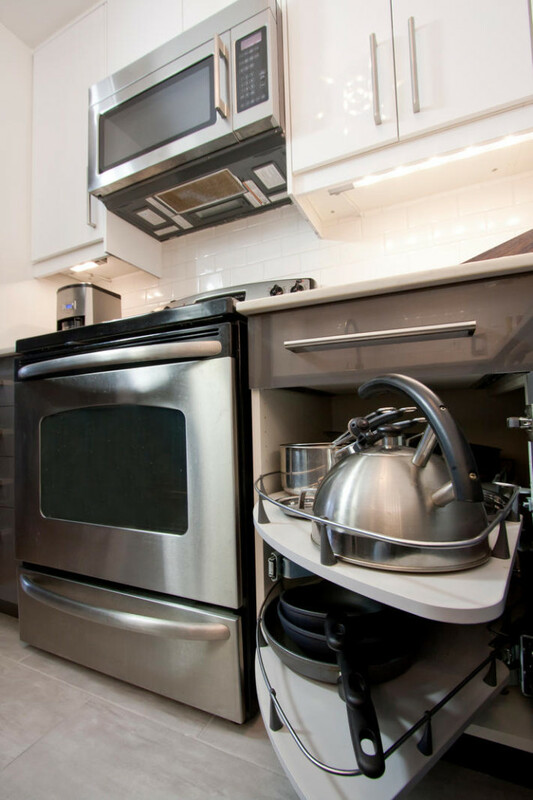 Appliances moved with more intuitive placement and to allow more space. Increase storage space to three walls (with added height). Updated ceiling light and added new, energy-efficient, under cabinet lighting. 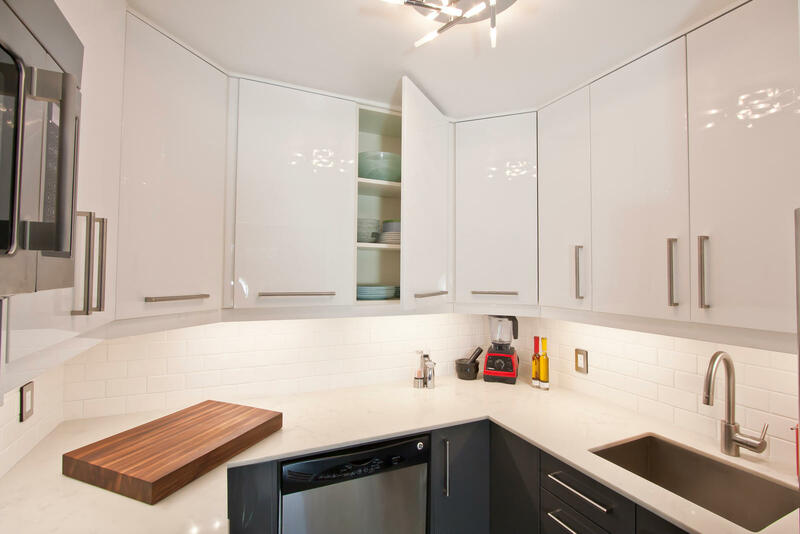 The under cabinet lighting can be turned on individually saving energy and lighting only where you need it. Creative, customized cabinet installation provided more storage space and usage. USB charging ports were built into the electrical outlets for conveniently charging multiple devices. Healthy Steps: All discarded kitchen material was donated to Habitat for Humanity. All lighting is highly efficient, reducing future waste and saving money on utility bills – this contributes to LEED waste.